In 1833 the world's longest railroad was completed linking Charleston to Hamburg, South Carolina, just across the Savannah River from Augusta. In 1833, responding to the perceived economic threat, the Georgia Legislature approved a bill incorporating the Georgia Railroad Company. This new company was tasked with building a route from Augusta west into the interior of the state by construction of a railroad. The company charter was accepted in 1834 and amended in 1835 to grant bank privileges. The new company name was the Georgia Railroad and Banking Company. 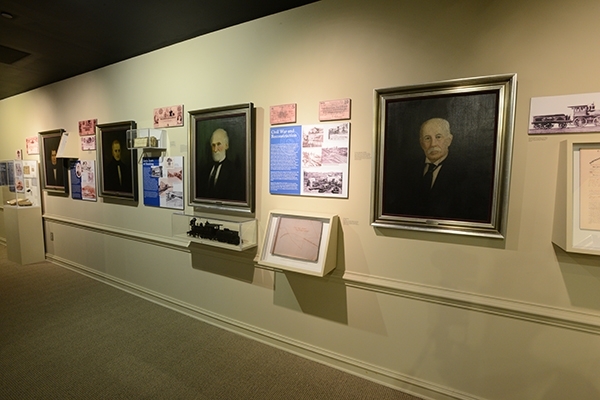 This exhibit features artifacts and images from both the railroad and the banking operations of the most important company of Augusta and Georgia. 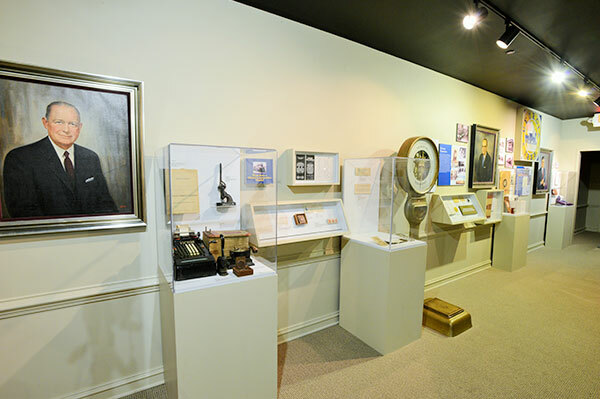 Among the many artifacts chronicling the company's 153-year history are a locomotive bell, railroad maps, stock books and the mail contract with the Confederate government. The Observation Gallery, located within this exhibit, lets visitors view the artifact conservation and preparation laboratory as well as the research library. Get a behind the scenes look at some of our new acquisitions down below as the staff prepares them for exhibition or storage.